An adventure, perfect for families looking for a balance between an exciting family activity holiday and the opportunity to explore Croatia’s beautiful islands and cities. 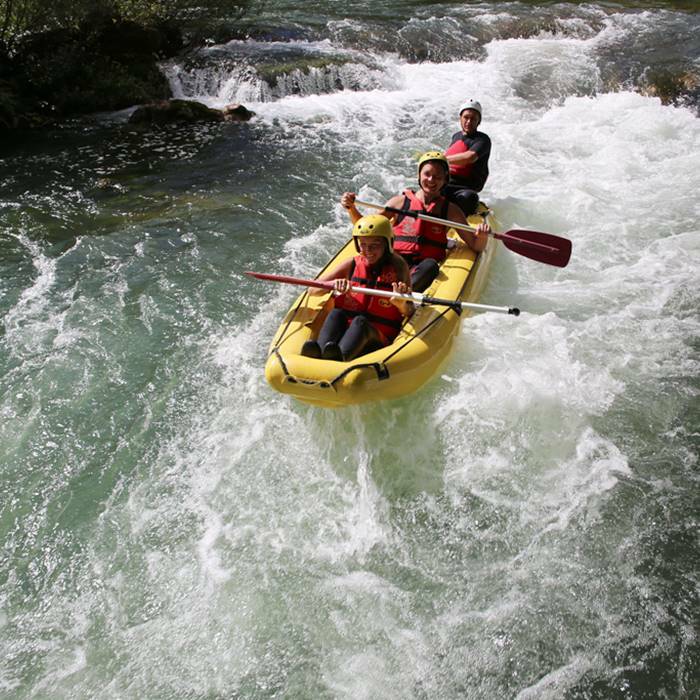 Try out canyoning and rafting on the picturesque Cetina River, explore historic Split by bike and discover hidden gems on Brac island. 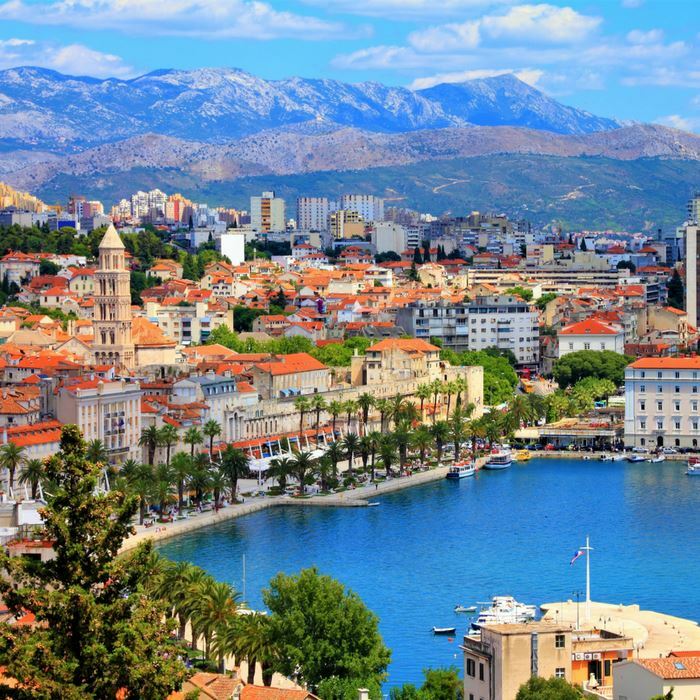 Welcome to the stunning city of Split! Our friendly and knowledgeable driver will meet you at the airport and transfer you to your hotel. 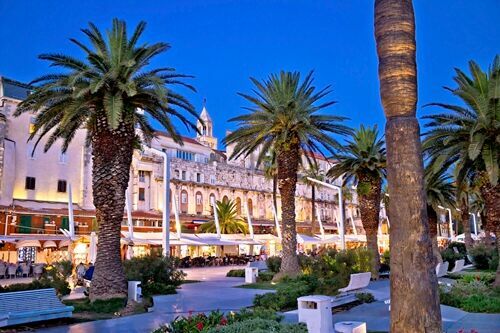 You will have the afternoon to explore Split Old Town with the stunning UNESCO-listed Diocletian Palace. Afterwards, treat yourself to a gourmet experience at one of many restaurants in the Old Town. 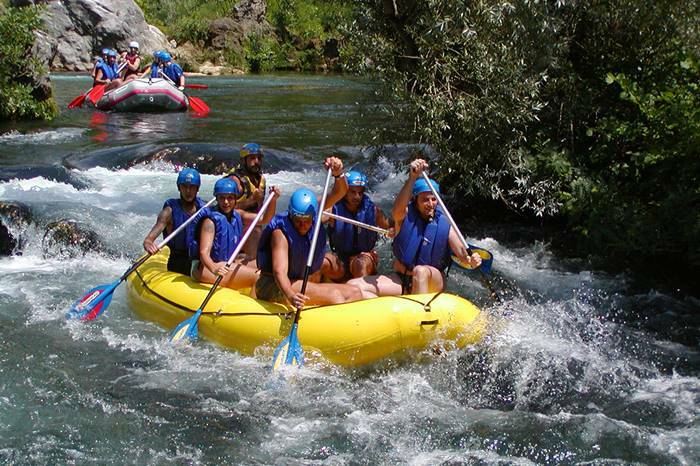 Today you’re visiting Cetina river canyon, where you will join a small canyoning group, led by an experienced guide. Explore the Canyon of Cetina River, with plenty of opportunities for swimming and cliff jumping. This is an activity for everyone, guaranteeing great fun. 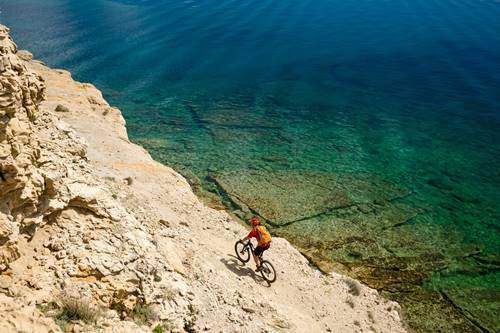 To kick off your holiday, enjoy an easy-level guided cycling tour of Split and its surrounding areas. You’ll take in local beaches, promenades and stunning views from Marjan Hill, overlooking Diocletian’s Palace and nearby islands. You will have the afternoon free to visit the popular Kasjuni Beach. 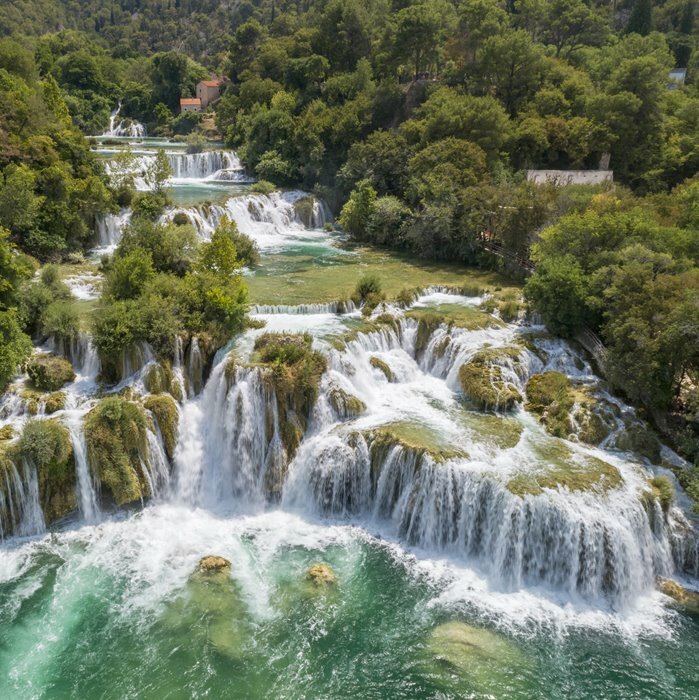 Spend the day exploring Krka National Park, its river, lakes and waterfalls, walking the paths leading you through stunning nature and medieval ruins. 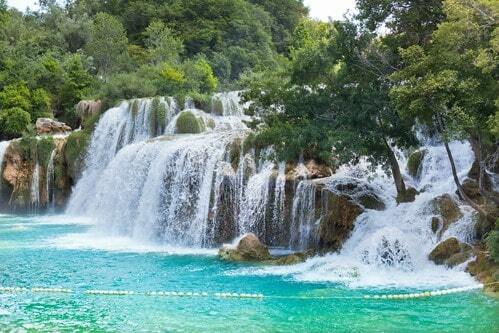 Don’t forget your swimsuit as swimming in the lake is allowed in front of the impressive Skradinski Buk waterfall. Today you will be visiting Cetina river canyon, a perfect destination for water sports in Omis near Split. 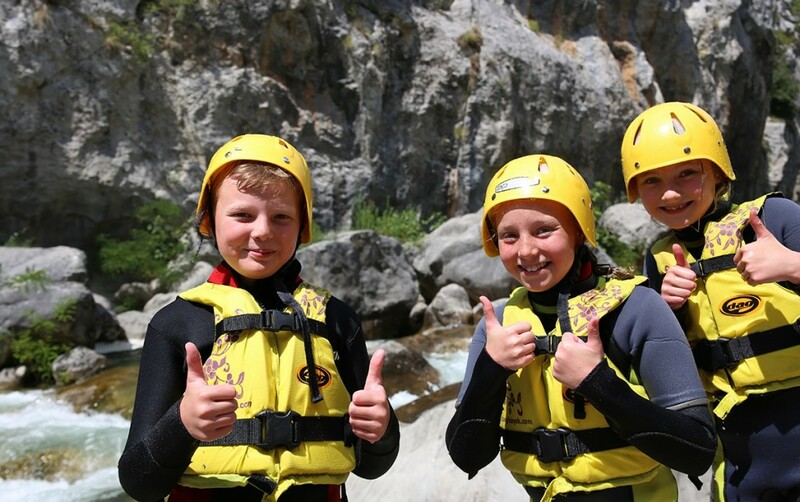 Join our experienced guides for a small rafting group tour and descend along the white waters of Cetina River, offering stunning views of nature and a day of fun! After breakfast and check out, our driver will transfer you to Split Harbour where you will board a ferry to Brac island. 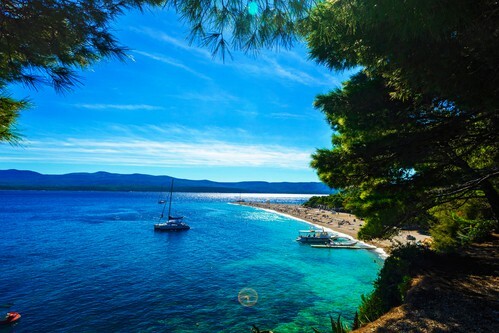 After checking into your hotel, explore the town of Bol and visit stunning Zlatni Rat beach. 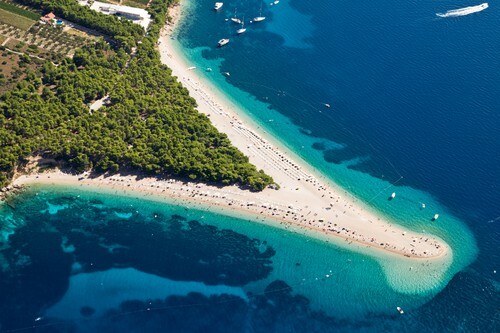 Zlatni Rat offers beach bars for grown-ups and water bouncy castles for little ones. 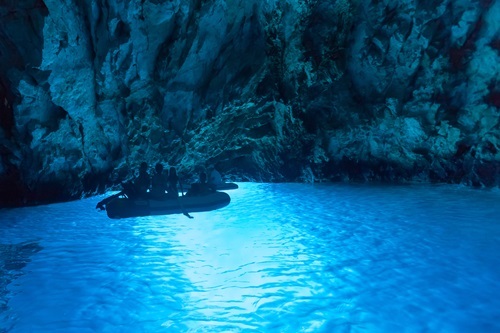 If you’re up for another adventure, board a speedboat for a tour of 5 islands and an unforgettable visit to Blue Cave, a stunning natural phenomenon. Spend the day cliff jumping, snorkelling, cave diving and discovering hidden coves and beaches. Enjoy your time at the Bluesun Elaphusa resort taking part in a number of on-site watersports, try your hand at their indoor bowling alley, golf simulator or take a dip on the popular Zlatni Rat Beach. For parents looking to relax, there is also an extensive on site spa. 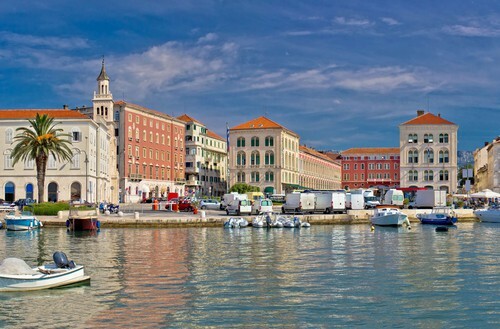 Time to bid farewell to Croatia as you are transferred to Split Airport for your flight home. Other dates are available. Contact us for alternative date availability.